Here at SAHB Hair & Beauty we cater for the whole family, children, men, ladies, styling, perming, colouring, straightening, tape extensions and more. Every one of our services include a thorough consultation, so together we can create a look that best compliments you! We want you to leave feeling and looking amazing with a style that you can also maintain at home. 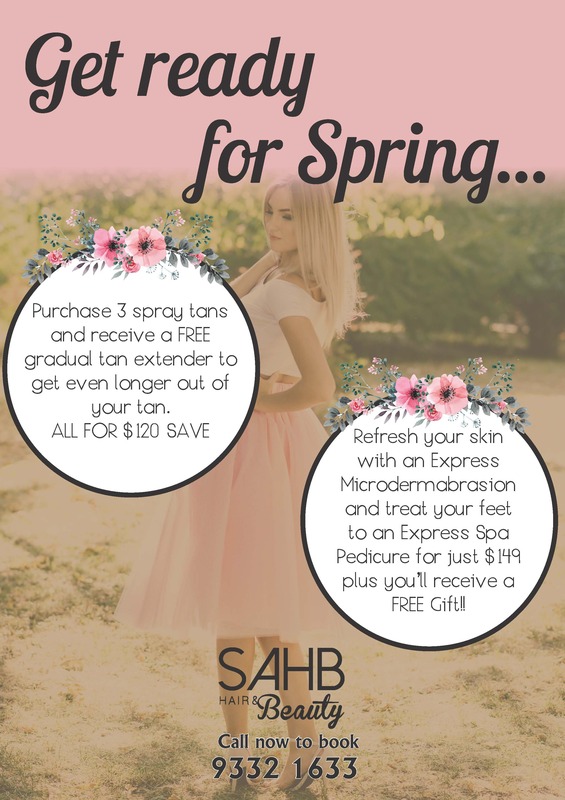 We have put together some packages below that may suit you otherwise our stylists can assist you in putting the perfect package together for you. For further information please contact us on 9332 1633 or 0428 648 684, we would love to help you! Our preferred Haircare choice is De Lorenzo, which is a naturally based haircare range. As it has always been a quality product, it is gentler on the hair leaving you with results you’ll love. De Lorenzo is manufactured in Australia in an environmentally responsible way using certified organic ingredients. They are also certified Vegan friendly. Yes we do use Olaplex. 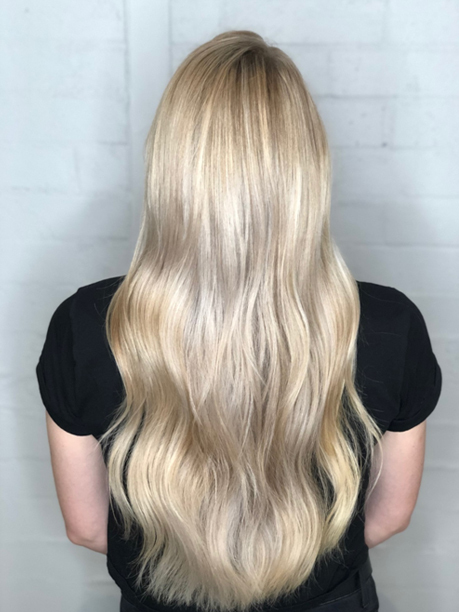 If you haven’t heard about Olaplex and wondering what it is, it’s for those of you that want to go Blonder or lighter without compromising the condition of your hair. 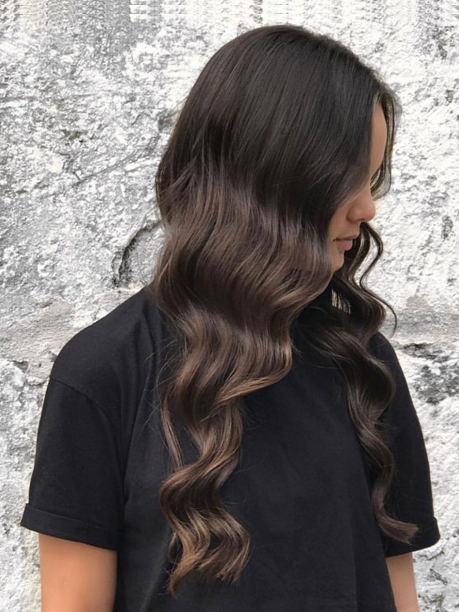 From Base Colours to foils and Balayage, Olaplex multiplies bonds making the hair stronger, while colouring. Olaplex is added into your colour or can be used as a stand alone treatment to repair the bonds in your hair. Highly recommended to anyone with dry or damaged hair wanting to go lighter. Here at SAHB Hair & Beauty every service includes a thorough consultation, so together we can create a look that best compliments you! We want you to leave feeling and looking amazing with a style you can maintain at home. Our prices are to be used only as a guide as thickness, length and application varies. If you would like a more accurate quote we offer complimentary consultations too. For enquires and bookings please call us on 9332 1633 or 0428 648 684. Darken those roots and lighten up some of those ends blended to perfection. With a style cut and blowave, you’ll receive a complimentary repairing treatment and toner for the ultimate look. Are you looking for a completely new look? For the complete transformation, receive a full head of foils and all over colour. A relaxing treatment to repair and replenish your hair, followed by a style cut and blowave, to have you looking and feeling amazing. Ready to show off the new you! Our prices are to be used only as a guide as thickness, length and application varies. If you would like a more accurate quote we offer complimentary consultations too. For enquires and bookings please call us on 9332 1633. The ultimate ‘SAHB’ hair and our most requested service. 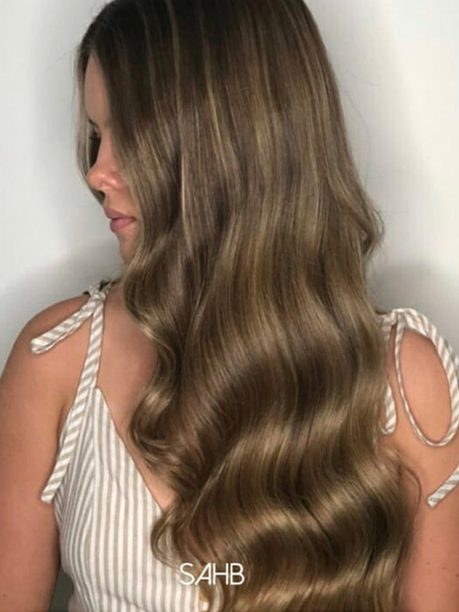 If you love those beachy highlights and that lived in look at the roots, then you will love our customised hand-painted balayage. We will customise this look to suit you and transform your locks. 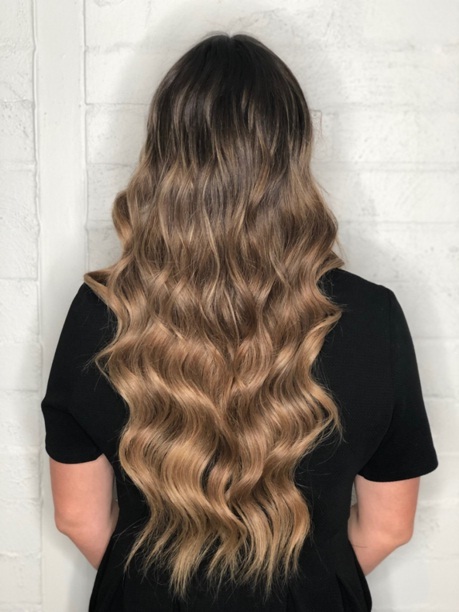 We recommend Olaplex as an add-on to this service. 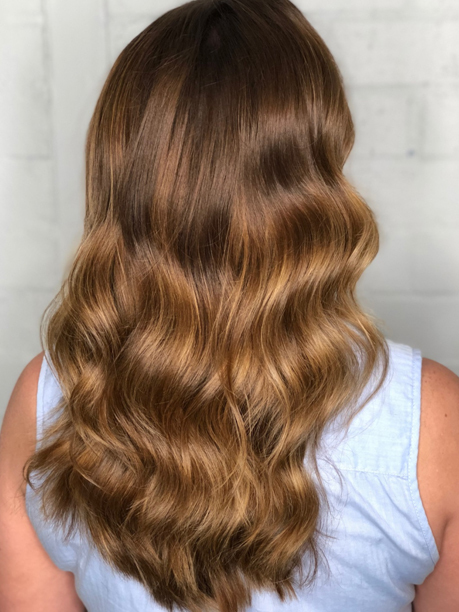 Perfect for that sun-kissed look or to refresh your Balayage Ultimate as part of your maintenance regime. We recommend Olaplex or bond rebuilder as an add-on to this service. A beautiful face framing effect offering a pop of light and dimension. Also, perfect as part of your maintenance regime for that natural looking, kissed by the sun glow. 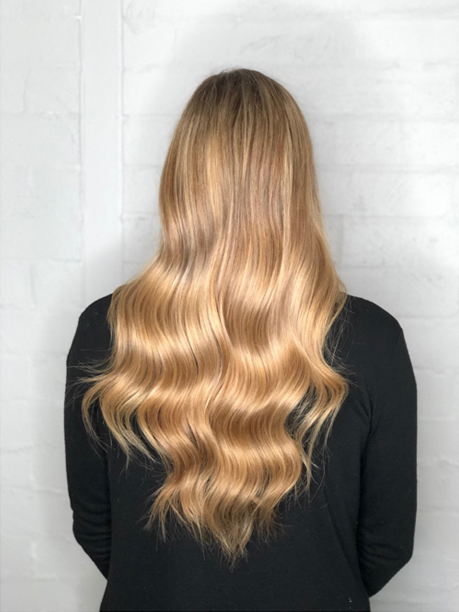 Create all over light and bright radiant blonde locks using finely woven foils for a beautifully blended, multi-dimensional look. For the ultimate blonde lover, our techniques will be customised to suit you. We recommend Olaplex for this service. Ideal for more of a natural blonde result or for keeping blonde light and fresh between full head applications. We recommend Olaplex for this service. 10-12 feature foils to highlight that frame your face, a gloss colour along with a beautiful style cut and blow-dry. Why do blondes have to have all the fun?! Here at SAHB Hair & Beauty, every service includes a thorough consultation, so together we can create a look that best compliments you! We want you to leave feeling and looking amazing with a style you can maintain at home. Our prices are to be used only as a guide as thickness, length, and application varies. If you would like a more accurate quote we offer complimentary consultations too. For enquires and bookings please call us on 9332 1633 or 0428 648 684.